There are so many memories that have been created in Green Team. Ranging from being on the news to planting our own Petunias for anyone who happens to pass by to see, there are a variety of memories and bonds created in this class. But for me, the most impacting memory would have to be helping and teaching the sixth graders how to plant yellow Snapdragons. 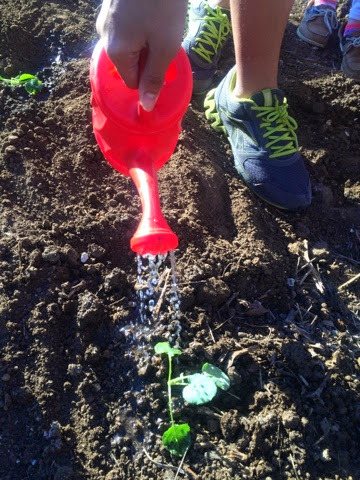 One day while we were out at the garden, we invited a class of sixth graders to help plant. At first, many people didn’t know what they were doing and it was a mess. We got them under control and taught them how to dig a hole deep enough for their plant. Then, we showed them the correct way to take the snapdragons out of their pot. Eventually, we got them to put them into their hole and cover their sides. To me, this was the most impacting so far because it made me feel like I was able to teach others. It shows you can spread your knowledge and influence others to do what can make this world prettier and better. Now, every time I walk out there, I remember the day I helped others. 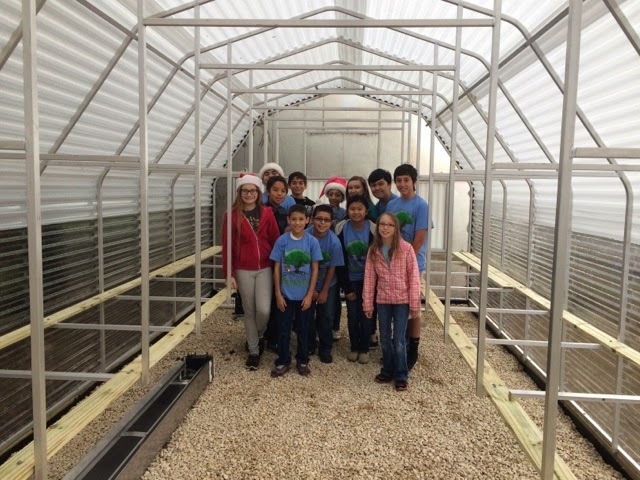 The Harris Middle School Community Garden, run by co-directors Lacey Trevino and Loryn Windwehen, have launched a new program, Sprouts. 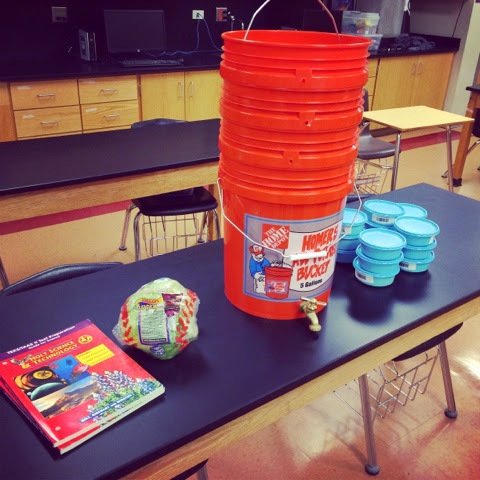 The members of the Harris Middle School Green Team, sponsored by Windwehen, will teach the younger students via hands-on outdoor activities. Through this peer teaching, they hope to further the reach of the Harris Community Garden and get young students excited about environmental and horticultural sciences. This program is open to all elementary schools. To learn more about how to sign up, click here. 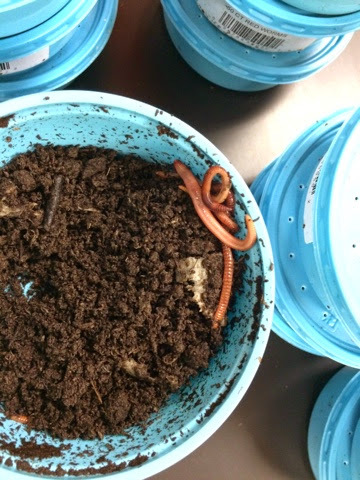 Thanks to the craftsmanship of Dr. Maika and the teamwork of the Harris Green Team, 400 red wiggler worms were placed in their new habitat, The Worm Hotel. We are still developing a name for the structure, but we are very excited. The worms work their way up the tower, eating organic material and releasing their waste. The waste falls to the bottom, and we harvest that, using it to fertilize our vegetables. It is the richest fertilizer you can find, and has many worm eggs within those nutritious castings. This will allow for the continuing the life cycle within the soil of our crops. The Green Team and directors will be offering a class this Spring on this very topic, and you can sign up through NEISD Community Ed. The Harris garden is in need of old sheets, blankets, or anything else that will help us protect our plants from the freeze. Contact lwindw@neisd.net if you have any! Thank you so much! Come to our free Fall Gardening Class on October 6th! All information can be found on the link above! Hope to see you there! We would love to help you start a vegetable garden at home! The more followers we have, the greater our impact! Volunteers - please fill out this form! In an effort to make our program sustainable, we are hoping to rely more and more on our volunteers to help in various ways. If you haven't already taken a couple minutes to fill out this form, the directors would greatly appreciate it! The Harris Community Garden was featured on Great Day SA today! Interested in buying a Green Team T-shirt to support Harris Middle School's Green Team? They are $15.00 and can be ordered by sending cash/check made out to Harris Middle School. email lwindw@neisd.net with questions. I am taking orders until Monday, Sep 22nd. Pre-orders only! Thank you for your support! Saturday's Garden Clean Up Was a HUGE Success!!! On Saturday, September 6th, we had over 40 people attend our annual garden clean up. They turned an area completely overgrown with grass and weeds into an area that is now able to be worked and enjoyed. We will begin using it for instruction this week. Our next event is on September 20th from 8:30-10:30 am. We will finish cleaning out the beds so that the students can begin planting in them.Please let Ms. Windwehen know if you can attend. If you can come, please bring tools, water, gloves, and wear some clothes that can get dirty! Mrs. Trevino and Ms. Windwehen want to extend their deepest gratitude to all the volunteers; this program is able to function because of them. Contact lwindw@neisd.net for information about the garden or ways you can volunteer. Sign up for this FREE spring Garden Class taught by the Harris Green Team and their sponsors !